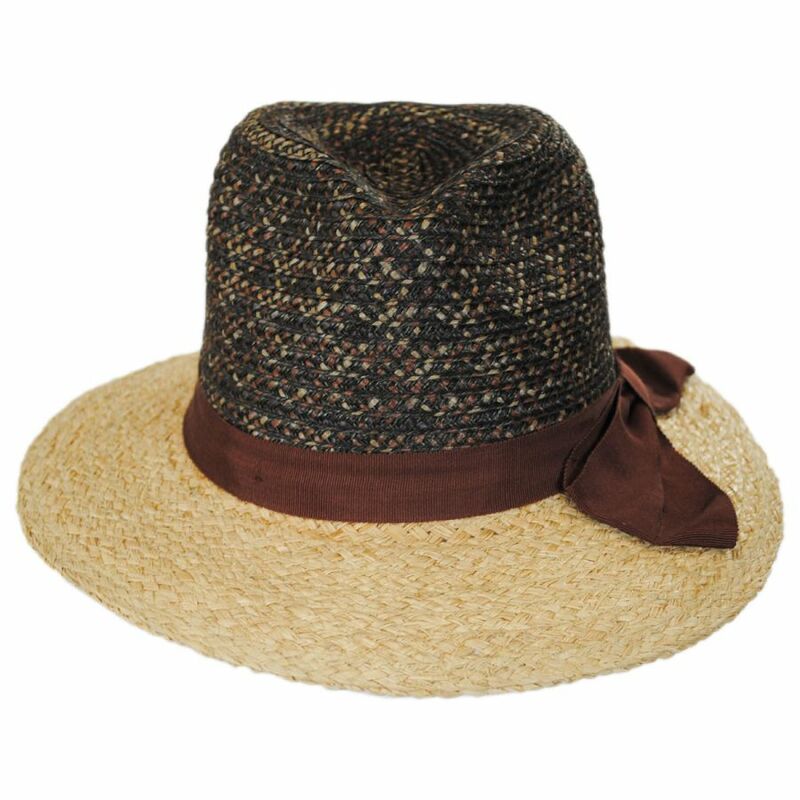 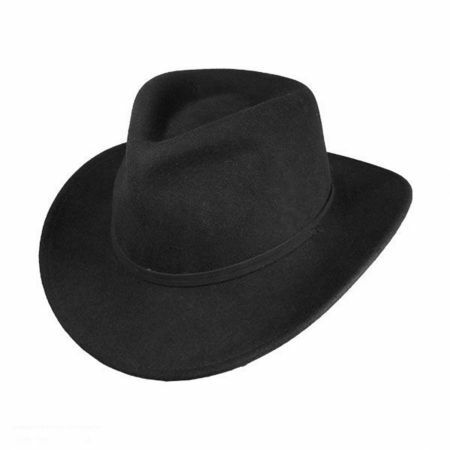 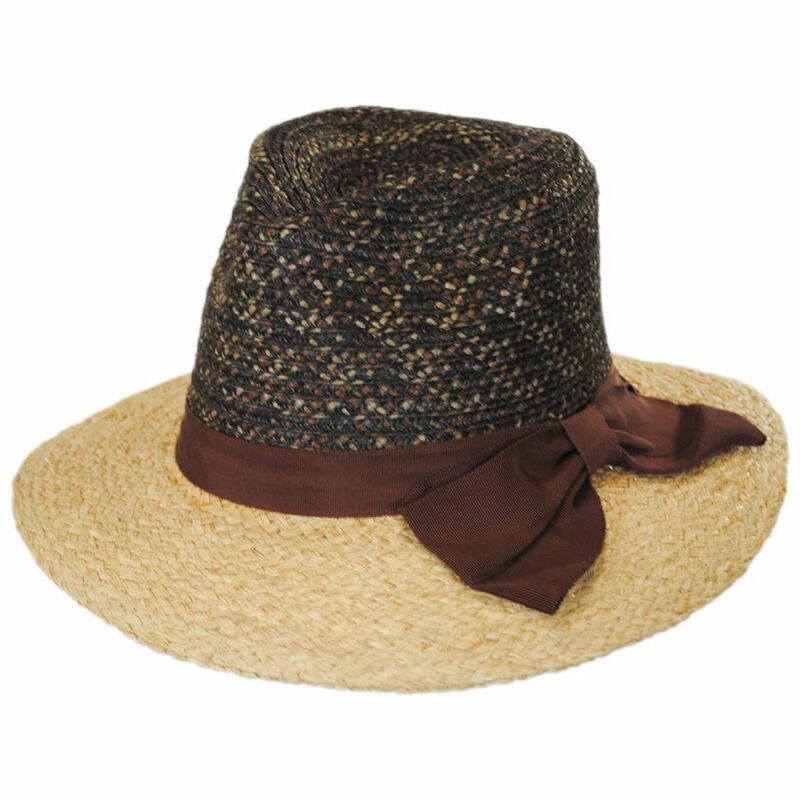 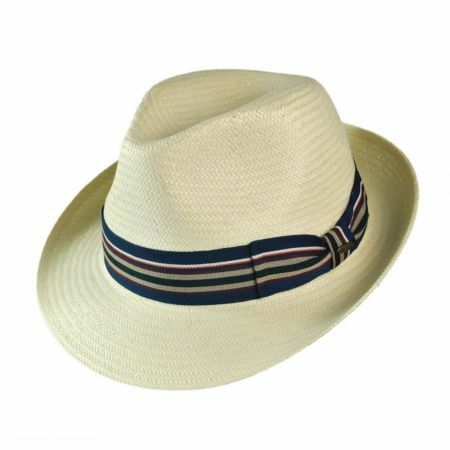 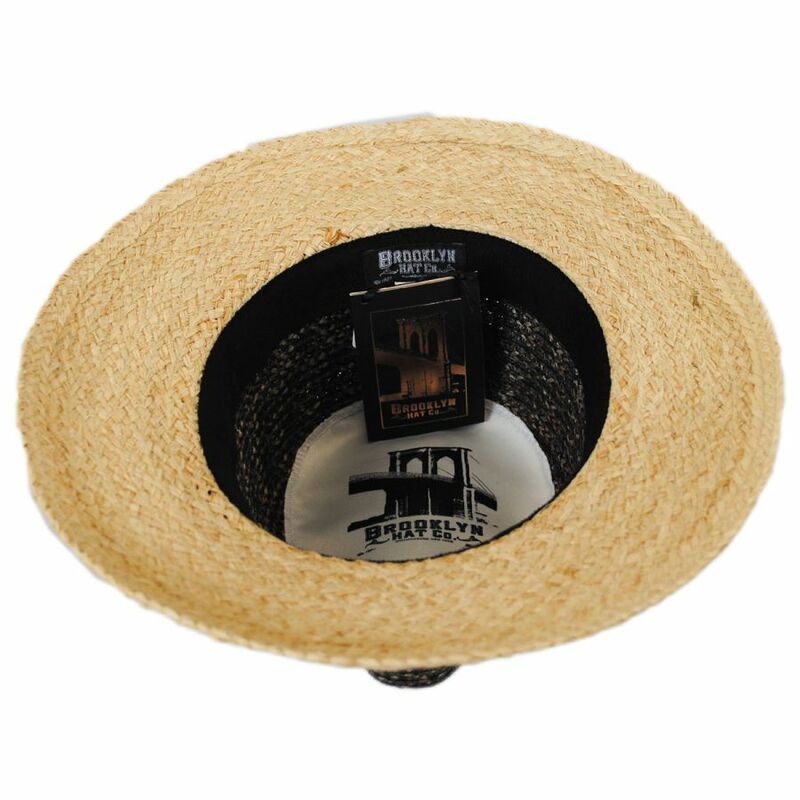 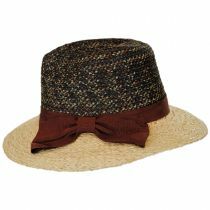 Brooklyn Hat Co's Calabria Raffia Straw Blend Fedora Hat boasts a multi-colored pinch crown with a contrasting solid brim. Its soft-woven crown includes rust, olive and taupe hues which coordinate beautifully with its chocolate grosgrain ribbon hat band and side bow. Additional features include a satin printed crown tip and drawstring-adjustable sweatband for a customized and comfortable fit. 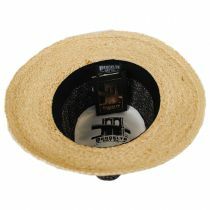 Size: One Size Fits Most - Fits up to size 7 1/8 (M) comfortably; adjusts via inner drawstring sweatband.